This remote has been designed as a small key-ring remote to compliment the original version FMT-301. This Key-Ring remote uses a LED light to indicate battery status – flashing LED indicates a flat battery. The blue LED light will be ON when the remote control is activated. All that’s needed is to match the 12-way dip switch from the old transmitter to the new one. 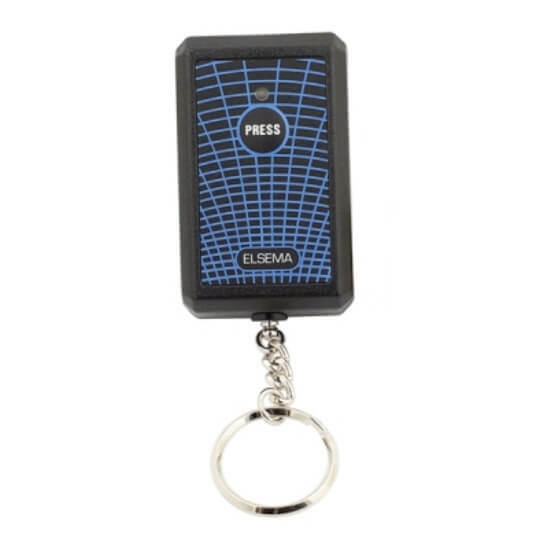 ELSEMA KEY 301 – 12 Switch remote is reverse compatible with ATA/ MAGIC BUTTON/ FIRMADOOR TXA1 remotes. See Coding Instructions for more information.